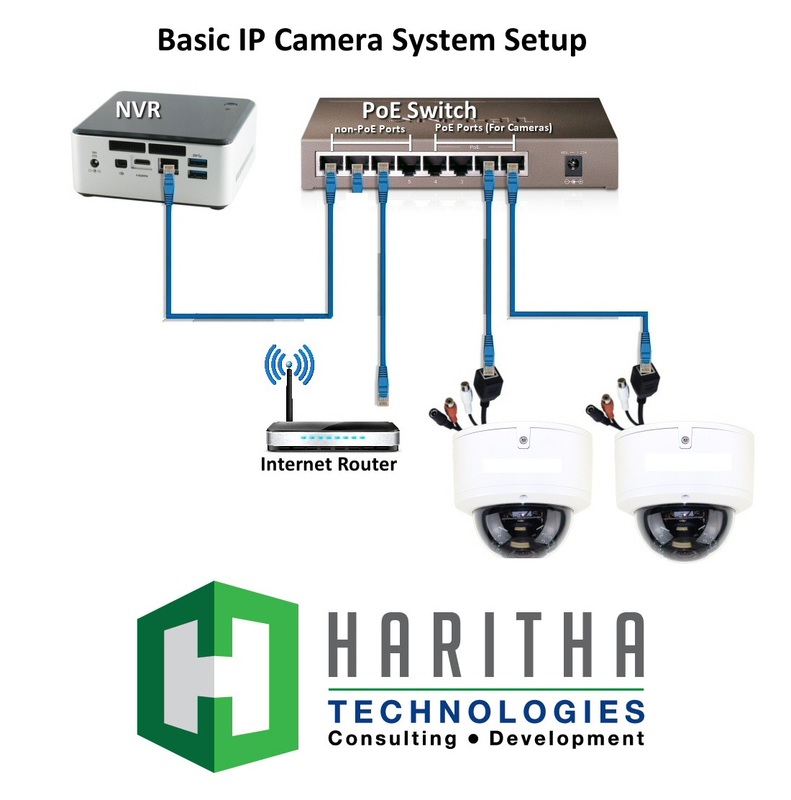 We deal with all leading brands of IP Cameras in Hyderabad.Difference between IP Cameras and HD Cameras. Expanding Capabilities/Features: Video surveillance features are continuing to expand, enabled by private cloud, remote video apps, and analytics to enhance solutions. IP cameras can offer a range of functions from basic to advanced analytics in almost any way imaginable. Manageability: The ability to access and view video files from any location in the world via mobile apps and remote clouds (assuming an Internet connection) is an obvious benefit of an IP-based video surveillance storage solution. The main difference between an analog HD cameras and IP camera is the way in which the video signal is delivered. Analog cameras turn the video signal into a format that can be received by a television or other receiver such as a VCR or monitor. An IP-based camera, also known as an IP network camera, digitizes the video signal using a specialized encoder that contains an onboard web server. This allows the IP camera to act as a network device, thus allowing captured video images to be viewed not only through an existing network but also through a web browser that can be accessed through the Internet. IP Cameras in Hyderabad.We are system integrator of all reputed brands of IP Cameras in Hyderabad. Best IP Camera Dealers in Hyderabad.We are give the price of IP Cameras in Hyderabad. IP Cameras in Hyderabad, IP Camera Dealers in Hyderabad, IP Camera Installation in Hyderabad, IP Camera price in Hyderabad, IP Cameras Installation in Hyderabad, IP Cameras price in Hyderabad, IP CCTV Cameras in Hyderabad.